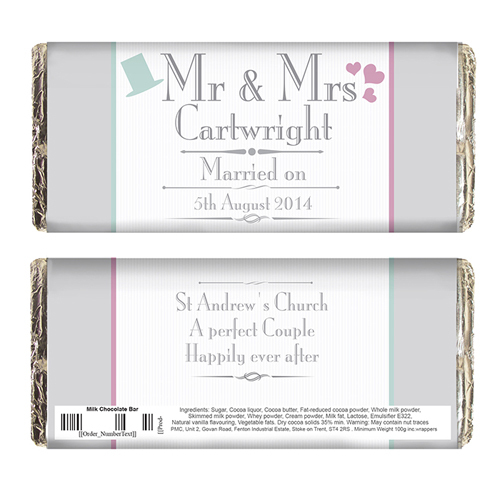 Personalise this Decorative Wedding Mr & Mrs Chocolate bar with a surname of up to 15 charactersand a further 2 lines for any message of up to 20 characters on the front. The back can also be personalised with 3 lines of up to 20 characters each. 'Mr & Mrs' is fixed text. Personalise with a surname of up to 15 charactersand a further 2 lines for any message of up to 20 characters on the front. The back can also be personalised with 3 lines of up to 20 characters each.